Our Peninsula, tucked between San Francisco and San Jose, is known the world over for its beauty, great weather and as a global epicenter of education and innovation. To those who live here, it is special because we have struck a magical balance between rural beauty and urban lifestyle and opportunity. This unique balance is no accident. It is the result of over 40 years of vision, focus and tenacious land protection work. POST and our generous donors are a driving force behind this work, but we don’t do it alone. 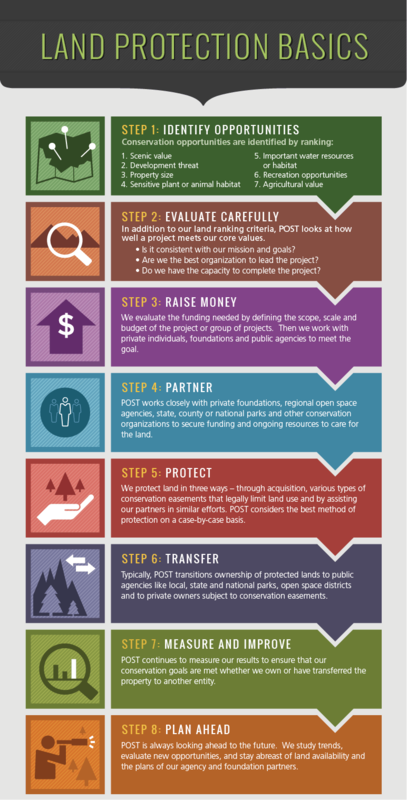 Together with our public and private partner organizations, POST has protected over 77,000 acres of open space, farms and parkland since our founding in 1977. 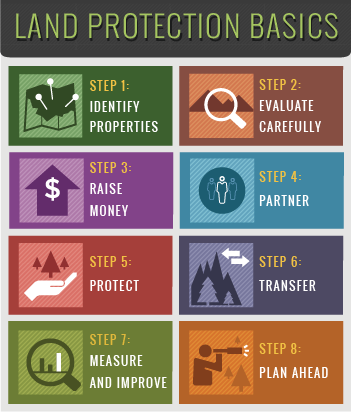 In that time, we have developed a proven methodology for successful land protection by purchasing the land and placing permanent protection on it through conservation easements. Once the protection work is complete we continue to take care of the land in perpetuity. or download the whole process here. Vision, perseverance, technical expertise and generous donor support are the keys to the successful integration of urban and rural landscapes that surround Silicon Valley today. But our work isn’t done. There are still lands that are threatened and need your protection before they disappear. We’re working to create a conservation vision that will last for the next 40 years and beyond. However you choose to appreciate the open space we all enjoy—be it hiking, mountain biking, birding, photography, camping, going to farmers markets for local products or simply enjoying the views—this special place is our home. We hope you join us in our mission to continue to conserve and protect it. Want to Know More about Easements? If you are a property owner and are interested in knowing more, click here.